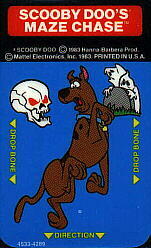 Hanna-Barbera´s top dog, Scooby Doo, chases ghosts, catches them & win points. Then Scooby Doo catches his favorite submarine sandwich and wins a bone. Meanwhile, Scooby Doo GETS chased by a sinister skull.